If HELLO CRUEL WORLD ascended into heavenly status, then BLACKBIRDS sees Gretchen Peters sanctify a slice of self-actualisation. The success of her 2012 album presented a tricky follow up conundrum and, while this new release is far removed from sophomore territory, the solution is no shallow act of surface creativity. Collaboration has lubricated the path to success and the higher the quality, the greater the impact. Those helping out Gretchen may have shared the process but the product is ultimately owned by one of America’s leading singer-songwriters. With the career album already in the bank, this next phase of Gretchen’s musical journey is underway and the defining factor appears to be canonising influence. This flourishes in every lyric, note and bar of BLACKBIRDS. The namedropping begins with the album contributors, starting with the consummate twang of Jerry Douglas, moving through the talents of Jason Isbell. Will Kimbrough and Jimmy Lafave before settling with the vocal excellence of long-time friends, Suzy Boggus and Kim Richey. Husband Barry Walsh makes his presence felt in the background, including co-producing duties, and will no doubt come to the fore when the album hits the road highlighted by a UK trip in March and April. Maybe Rosanne Cash and Lucinda Williams owned the generational airways in 2014 but Gretchen can be the anointed one in 2015. Throughout its forty nine minute duration, the album spills into a melting pot of perspicacious lyrics and adept musicianship held together by a roots sound thread and liberally sprinkled with stand-out tracks which will emerge over time. The album’s title track, a co-write with Ben Glover, surfaced last year on Ben’s tremendous record ATLANTIC and apart from opening Gretchen’s new release also takes the form of an eleventh track reprise. This final phase of the album adopts a more haunted gothic approach to the song ‘Blackbirds’ which captures the dark side of a Louisiana crime scene. Geography continues to form a backdrop to a record built on the concept of adjusting to the advance of time. ‘The House on Auburn Street’ is a cleverly crafted song based on the simple notion of re-visiting past places of residence in our mind with Gretchen harking back to her suburban upbringing in Pelham, New York City. Bringing things right up to date, Gretchen uses the explicit title ‘Nashville’ to reflect on her current hometown but the offering is far from cliché ridden and deeply personal. We once more head back down to the Gulf region in ‘Black Ribbons’ and a track which epitomises the splendid musical arrangements running through the record. The duet with Jimmy LaFave on ‘When You Comin’ Home’ heralds a supreme sound and if you want a further break from the ballad style then ‘When All You Got Is a Hammer’ will feed your upbeat urges and rock the album as much as you are going to get. Although as previously mentioned stand out songs are likely to fluctuate, Gretchen at her soft tender best make an early claim especially in the piano led beauty ‘Everything Falls Away’ and the pin drop moment atmosphere surrounding the fond memories echoed in ‘Jubilee’. Perhaps Gretchen’s song writing peaks on this album in its latter stages with the wonderful line ‘ain’t no train to take us back from where we came’ adorning a strong number ‘The Cure for the Pain’, dealing with waning health. 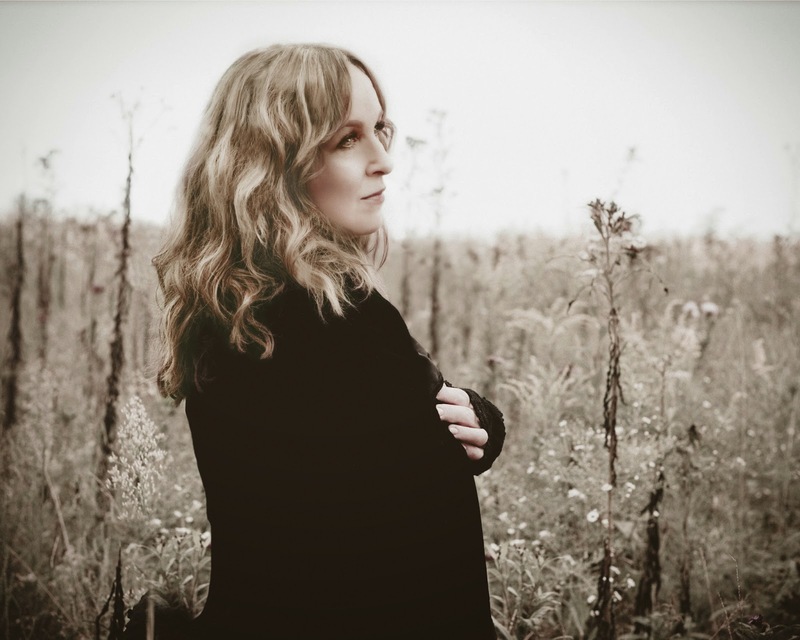 To mention the track ‘Pretty Things’ last is no intended slur, especially on one which is quintessential Gretchen Peters and firmly etched in this egalitarian album. The accompanying press release for this record sees Gretchen voice the ageing process from a female perspective as the driving source for BLACKBIRDS. Layers of attention reveal the true depth of the album and much like Gretchen’s back catalogue, sustainability is the key ingredient. Maybe mortality is a great creative inspiration and one that we can all draw on in the utopian pursuit of self-actualisation. 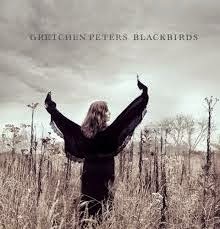 BLACKBIRDS projects Gretchen Peters in top mode once again and lays out a newly sustained path of marvellous musical mystique.